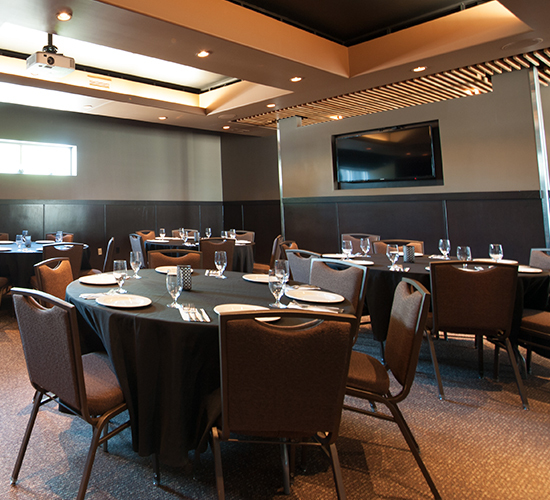 This room offers a variety of possibilities when it comes to hosting events. 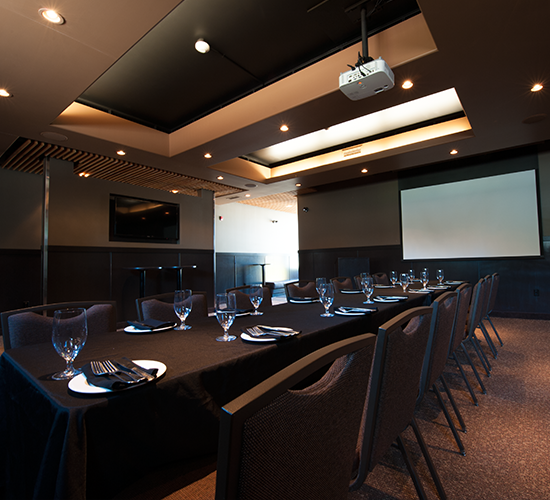 The room has been designed to accommodate multiple styles of seating (boardroom, classroom, banquet and cocktail) as well as having the capacity to offer numerous styles of food and beverage services including cocktail receptions, buffets, family style and sit down meals. 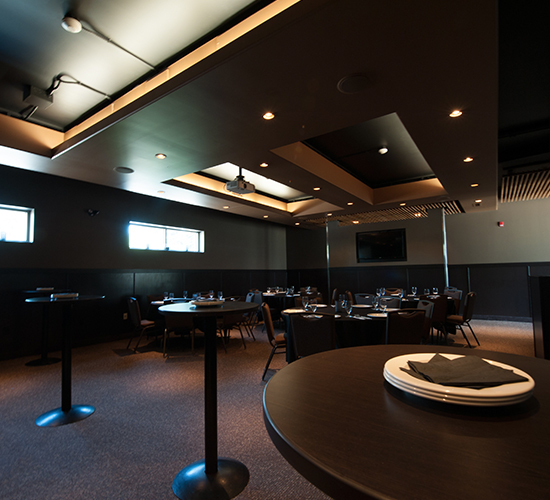 5 Forks South offers your group the ability to have their own private entrance for your event as the location is separate from the existing 5 Forks Restaurant dining area. The fact that the area is not part of the existing dining room area also allows for valuable privacy when conducting meetings, or the ability to host an event and not worry about being too loud for a regular restaurant atmosphere. Forks South has been equipped with the latest in audio and visual equipment. We feature a 106” drop down screen with HD projector, as well as an additional 50” HD television for your convenience. There is access to Bell satellite programming and a separate feed for DMX background music services. Microphone and laptop hook ups (via HDMI or VGA cables) are also available for those who wish to do any presentations or speeches. Forks South offers an array of menu items for your occasion. Choose your time of day and the options that are available! Breakfast, Brunch, Lunch, Appetizers and Dinner!